Cleaning sheepskin rugs can be a very tedious process for those people who lack the idea. Proper cleaning of sheepskin rug is crucial because it contributes to the service time of a sheepskin rug. This will definitely give many years of service, full of enjoyment. Also, proper cleaning of sheepskin rugs makes them appear as good as new. A nice sheepskin rug can be a crucial component of an improved home. It is important to keep a sheepskin rug as clean as possible in order to realize a clean home. However, when buying a sheepskin rug from the market, a lot of caution should be taken to avoid buying a fake sheepskin rug. It is easy to identify a real sheepskin rug on the market. 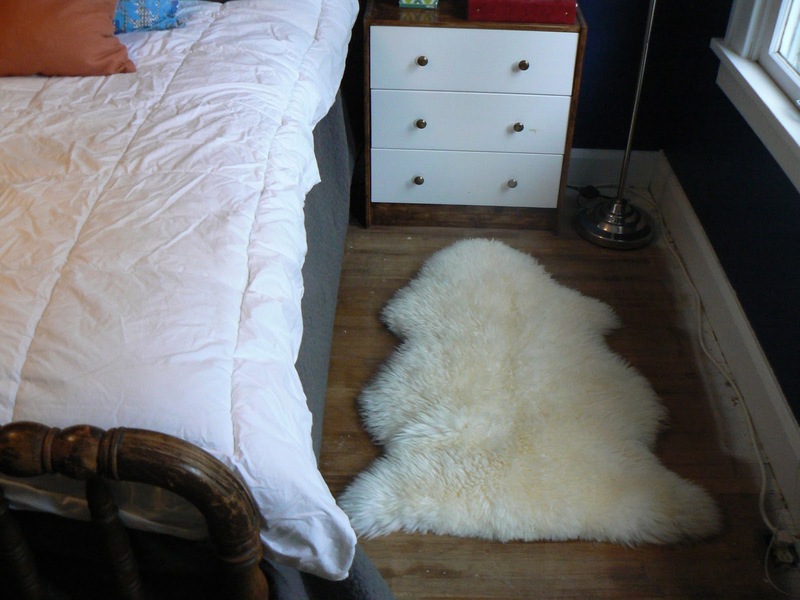 A sheepskin rug is different from woven wool rugs. The process of cleaning the sheepskin rugs is different from that of the woven wool rugs. I will explain that process shortly. In order to clean sheepskin rugs, you need to avail a cleaning agent. The recommended cleaning agents are as follows: a wool shampoo which is specifically designed for sheepskin rugs. When buying the cleaning agent, make sure that its purpose appears underneath as sheepskin shampoo. First, it should be non-alkaline. Sheepskin can be damaged by alkaline chemicals. There is a need to avoid bleaching agents. The color of the sheepskin rug should be maintained. Bleaching agents will react with the sheepskin compounds and lead to the production of a colorless product. The color of a real sheepskin is amazing. Biological washing powders should not be applied when cleaning sheepskin rugs. In addition to these, those soap based powders and soap flakes should not be used to carry out the sheepskin rug cleaning process. Moreover, any detergents that contain enzymes should be avoided in this job. There are three methods of cleaning sheepskin rugs. These are spot cleaning, handwashing, and machine washing. These instructions on washing of the sheepskin rugs are just a simple guide. Hand washing can damage sheepskin rugs. It is not recommended, therefore. Handwashing of sheepskin rugs applies to those rugs that are natural only. Handwashing excludes the dyes sheepskin rugs also. Usually, the dyes fade off when the sheepskin rug is washed manually. A real sheepskin rug is not exceptional when it comes to fading action. It will equally fade the same way a fake sheepskin rug will do. The temperature of the water to use in cleaning sheepskin rugs should be 38 degrees centigrade. Moreover, you should utilize a bathtub while undertaking the washing activity. This will enhance ample space to massage the leather throughout the sheepskin rug. When washing a sheepskin rug using a machine, ultimate care should be taken into consideration. Carelessness while washing sheepskin rugs will lead to damage to the product. You should wash on a wool wash cycle that entails a low-temperature medium. However, when using your hands, the optimum temperature is 30 degrees centigrade. Use a teaspoonful of a washing powder that is non-biological. The preferred powder is the high-quality wool shampoo. The size of the bathtub depends on the size of the sheepskin rug. If the sheepskin rug is too large, a bathtub that is big should be used when carrying out hand washing in hot water. A teaspoonful of glycerine should be added to make the sheepskin rug remain flexible. Spot cleaning is the process of cleaning a portion of the sheepskin rug that has been affected by dirt. In this specific case, you are not washing the whole rug. Usually, fake sheepskin rugs are prone to dirt spots. For the case of real sheepskin rugs, dirt does not accumulate in form of spots. It usually sticks on the surface temporarily with no spots of dirt forming. If you decide to use utilize spot cleaning, the following procedure will be helpful for you. First, make sure there is a mild cleaning agent. However, if it is not available, you can use a dedicated cleaner. Avoid using biological cleaning agents, soap-based powders and also detergent that has enzymes. Use a kitchen towel to clean the area as much as possible. Afterward, apply the cleaning agent with little dabbing motion to the area that was dirty. Rinse with clean water while taking care to avoid soaking of the sheepskin rug. Lastly, dry the sheepskin rug, far away from any source of heat. You should massage while drying the sheepskin rug. Sheepskin rugs have a unique smell when they are new. This smell vanishes with time as the sheepskin rug is being used over time. You should air the sheepskin rug to remove the scent that may be prevailing. Secondly, it is advisable to avoid leaving the sheepskin rug in direct sunlight. If the sheepskin rugs are left in the direct sunlight, they will fade the nice colors that were originally present. Nobody would wish to lose the nice stare at his or her sheepskin rugs. It should be noted that sheepskin rugs are not supposed to be used to clean bathrooms or any other damp place. The moist environments enhance the development of molds. Whenever molds develop on sheepskin rugs, they will wear out after a very short period of time. In addition to this threat, the mold will also imply unhygienic condition as this is a toxic substance. After washing the sheepskin rugs, they need to be shaken outside frequently. When doing this, make sure you use a wire brush. In particular, a wire brush similar to a pet brush should be used to brush the wool of the sheepskin rugs. You may decide to allow some air to blow over the sheepskin rug. This will be achieved by taking the sheepskin rug outside after cleaning and leaving it there on a washing line or on an air drier. Make sure that it is not left in a place which is exposed to direct sunlight. Store the sheepskin rug in a cool dry place. This place must be free from the effect of direct sunlight. Moreover, you should avoid damp places when choosing a place to store the sheepskin rug. To sum it up, the appropriate procedure should be taken when carrying out the process of cleaning a sheepskin rug. This will lead to long service of the rug in a home. Maintenance of sheepskin rug is also vital. In addition, there is a need to consider buying a real sheepskin rug that will be of good service. Fake sheepskin rugs are not durable and also cleaning them is a difficult task.